A fabulous brand new dead stock Designer Fascinator Hat one size. The hat is secured by a silver tone metal alice band. This hat is modelled by Rosy and is top quality. I have this hat in other colours – just contact me. The swimsuit is also available. SKU: DDM1003. Category: Designer Hat. 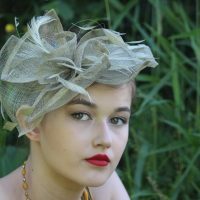 A brand new Designer Fascinator Hat secured on a silver tone metal alice band which is dead stock and one size. 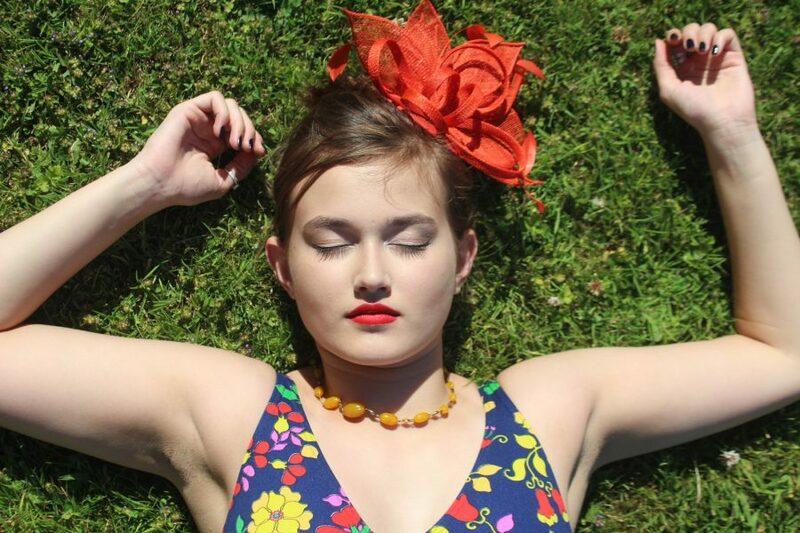 This is a quality designer hat modelled by Rosy – I have these in other colours – just contact me. 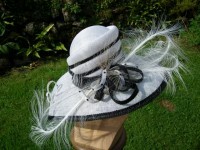 A brand new beautiful Black and White Nigel Rayment designer hat. The circumference of the hat is 22 inches (56.5 cms). The width of the hat is 20 inches (51 cms). This hat would have originally cost in the region of £400 and can be supplied with a new cardboard hat box for an extra £20 just let us know and we will invoice this separately.